For more than 70 years, Georgia Tech has been the premier institution for supply chain and logistics professional education, innovation, and leadership. 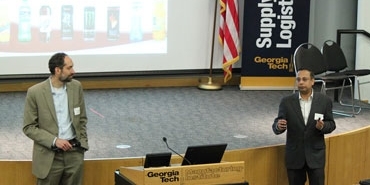 Today, the Georgia Tech Supply Chain & Logistics Institute (SCL) offers an extensive, global curriculum for professionals in supply chain, trade and logistics. The SCL curriculum includes comprehensive programs in supply chain strategy, demand-driven strategy, sales and operations planning, supply chain innovation, supply management, lean supply chain, inventory, demand fulfillment, warehousing, transportation, and health and humanitarian logistics. 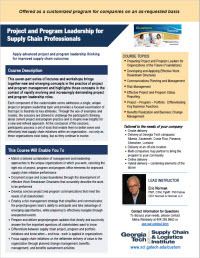 We collaborate with some of the world's leading companies to create training programs that drive and strengthen supply chain and logistics strategies. Customized programs and their delivery serve the fundamental need to build capabilities and competencies for a target audience. Additionally, customized programs help align individual and corporate purpose to foster discussion and interaction along a common strategy. Our initial discussion helps us to understand your company’s challenges and training needs. Let us analyze your organization’s goals and strategies, as well as desired training outcomes and timelines. We will develop a proposal covering suggested curriculum to meet your organization goals, strategies, instruction, as well as a timeline and feedback. After gathering your initial feedback, our experts will work with you to further tailor the program to your requirements. Once program details are agreed upon and proposal accepted, a contract is initiated for signature. As your custom program is built, collaboration will be vital. We partner closely with you through the entire process to ensure a perfect fit for your needs and expectations. Once strategy and capabilities maps are completed, we build consensus on the program syllabus, the audience profile, and the evaluation mechanisms. Specific topics and content to be delivered are finalized and developed. Exercises, case studies and models may be incorporated into the program. A custom program is delivered to your participants by our top-rated industry experts. In-class participation and engagement is key to retaining learning objectives. Feedback from all participants, including the instructors, is gathered and analyzed. Based on compiled feedback, the program is revised and updated for future offerings. 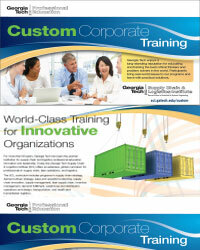 If your program meets "certificate" requirements, attendees completing the program will receive a Georgia Tech Supply Chain & Logistics certificate. 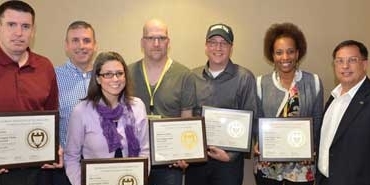 A certificate from Georgia Tech provides a desirable credential for professionals pursuing career advancement. To discuss your needs, please contact Meka Wimberly at 404.385.8663 or use our contact form.